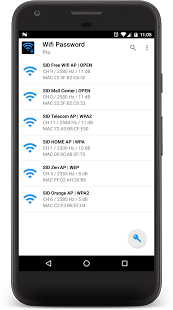 Wifi password pro generate a long random alphanumeric password to provide you a better security in your wifi network. 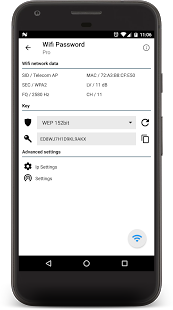 This app will not hack, steal or retrieve wifi network password it's just a security tool to help you increase your security generating long random passwords that you have to set it manually to your wifi router. â€¢ The algorithm generate WEP, WPA, WPA2 with a high level of authentication. 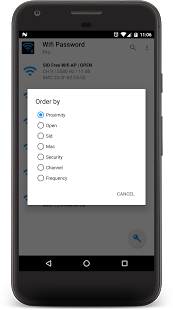 â€¢ Direct connection to wifi networks without password. â€¢ Order network list by proximity, open, sid, mac, security, channel and frequency.